The rise of the Alt Right, the growth of “free speech” hard right confrontations, the increased militia presence, and the Trumpian populist revolution, have all put the idea of fascism sweeping America and Europe on people’s minds. At the same time, a massive antifascist wave, both of explicit Antifa organizations and broad-based community groups, has skyrocketed, making the clash between the far-right and antifascists an almost daily occurrence. As a part of that equation, a number of reporters, scholars, and organizers have begun researching and writing about this, trying to get at the heart of what causes the rise of fascist movement and how counter-organizing can be successful. We have collected some recent titles below with a look at what they cover and our thoughts on how useful they can be. This is only a small sample of what is out there, and self-consciously Western-centric given the situation, but these are a good starting point for arming yourself with knowledge to make counter-organizing more fruitful. Journalist Shane Burley digs in deep on the Alt Right, American white nationalism, and how the various fascist movement work, how they evolved, and what their future is. Since he began researching and writing about the Alt Right early on, he provides deep insights into the nature of the far-right and both their weaknesses and strengths. The second half of the book looks at the myriad of forms of resistance, looking at Antifa organizations, mass-movement antifascism, rural struggles, inter-religious organizing, community defense, college activism, and a whole range of options. This is a broad look at understanding how fascism works in America, and the different tools that can be employed in effective resistance. Historian Mark Bray has put his background in European history to analyze the growth of militant anti-fascism and he chronicles its history back to the interwar growth of European fascism. He then breaks down the theoretical and tactical lessons, looks at how they have been applied in different countries, and creates a pragmatic guide for how Antifa organizations can effectively confront fascists in the streets. A guide that is specific to particular types of militant antifascism and is wonderfully written with dense information from antifascists. You might find it odd that we are recommending a book by a Republican political science professor, but Hawley’s work since Right-Wing Critics of American Conservatism has been some of the most insightful on the far-right available. With Making Sense of the Alt-Right, he again digs in deep on the ideological background the Alt Right, how it evolved, and where it is going. His work is clear and concise, even though his politics may be the inverse of our own. His work is something that should continue to be put into use for better understanding of these movements, especially from someone who has deeply researched American conservatism. David, a writer for the Southern Poverty Law Center based in the Pacific Northwest, has been covering the hard right for years. In this book he chronicles the development of the hard right in the 2000s, focusing heavily on the culture of talk radio, patriot militias, the Tea Party, and Fox News. Part of his analysis of the fascist right is hit and miss, but there is a good narrative and history of the edges of the GOP. 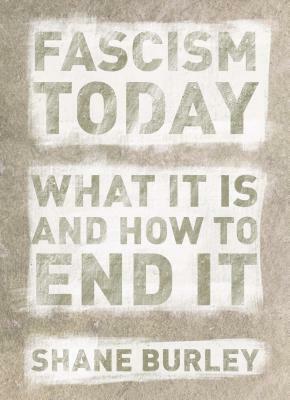 Alexander Reid Ross’s book is one of the best contemporary books on the history and ideologies of fascism. Focusing heavily on the areas that fascism pulls from the radical left, it looks at dissident strains of Third Positionism, and how the rhetoric and methods of the left are often used for fascist ends. This is a great precursor volume to Fascism Today, and is incredible for connecting the history in the U.S. to that of Europe and Eurasia. Nagle’s book received a massive amount of media attention, but the slim volume mainly analyzes the culture of online forums like 4Chan and 8Chan and how white nationalists employed its iconoclastic behavior for fascist politics. Her own politics are dubious in some places, especially the blame she places on the left and queer activists, but her observations and research about the nature of right-wing web forums has been invaluable. In reality, this analyzes only a small piece of the puzzle, but is a great look at how the trolling culture evolved to dominate the far-right. Looking at Clara Zetkin’s presentation to the 1923 International Workingmans Association meeting on fascism, it uses that Marxist analysis to argue for a “united front” approach to fascism. While some of this orthodox Marxist approach to understanding fascism, especially describing it as the “reactionary wing of finance capital,” is not something we agree with (Fascism Today and Against the Fascist Creep especially take issue with this approach), this is a volume to be excited about as it is a useful piece of the history of antifascism. Long-time scholar of the far-right Matt Lyons, known for co-authoring Right Wing Populism in America with Chip Berlet and for blogging at Three-Way Fight, leads this volume with a long essay outlining the details of the Alt Right’s rise and ideology. His main essay is followed by several others that also analyze the Alt Right, including the incredible anti-fascist website It’s Going Down and the editor of the anti-fascist publisher Kerblebedeb. A real must-have right now for dealing with the Alt Right specifically. We are also looking forward to several other books that, while we know little about the titles themselves, we are expecting something great. Matt Lyons (who provides the forward to Fascism Today) will have a new book on the far-right coming out from Kersblebedeb next year, and Harrison Fluss and Sam Miller from Jacobin will also have a book on the Alt Right. There is likely to be a slew of other volumes to be released, and we will add to this list as time goes on. Check out an older list of interesting volumes that all deserve a read as well.